SP Weather Station has on special occasions installed weather instruments in selected locations. Here’s a summary in chronological order, with the most recent at the top. 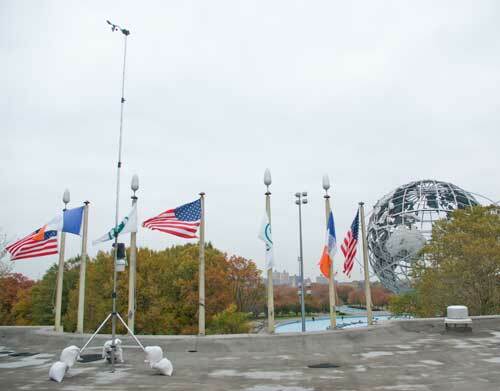 SP Weather Station instruments on the roof of Bronx River Arts Center (BRAC) on the Block @ Bronx Art Space, as part of the exhibition “Shifting Communities: Laura Napier, Christy Speakman, SP Weather Station,” October 21-November 19, 2011. More info here. SP Weather Station in collaboration with Daniel Robie. More info here. 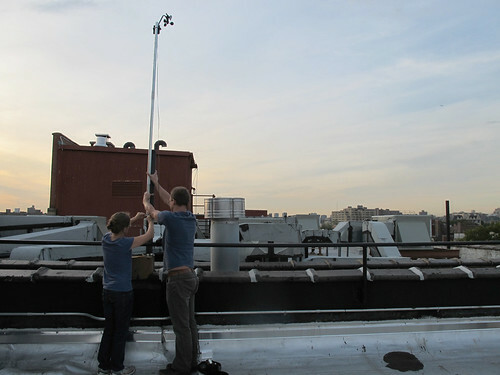 In conjunction with the SPWS exhibit at the Queens International 4, SPWS invited artists Andrea Polli and Chuck Varga to install a Professional Weather Station on the QMA rooftop as part of the ongoing Hello, Weather! Project. Readings from the station will be used in the ongoing operations of SPWS and Hello, Weather!. More info here. 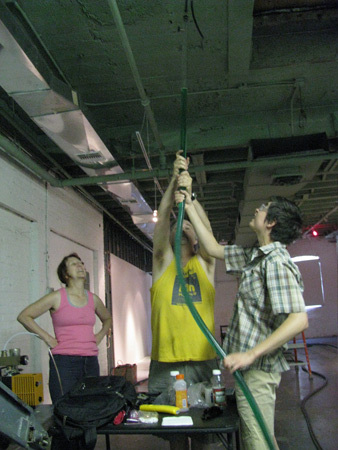 Partnership with Daniel Larson in conjunction with the SPWS exhibit at the Queens International 4, and ‘To Let’ in Ithaca, NY. 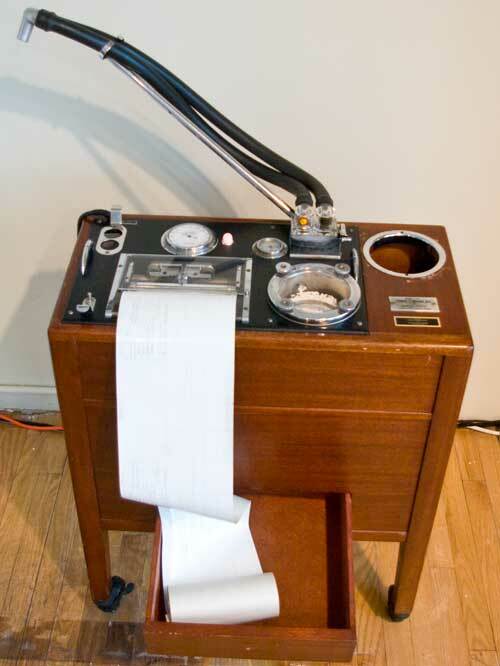 An adapted 1950s-era medical device known as a ‘Metabulator’ translates real time analogue temperature measurements into a continuous chart readout. More info here. Pingback: » Sunday 4/26: Queens International 4 Closing Party!